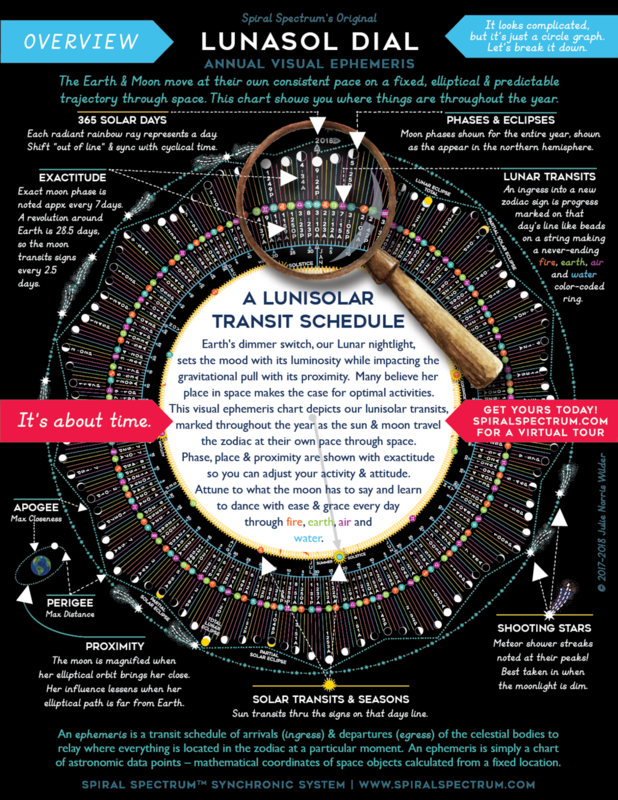 This Luna Sol Calendar is a graphic ephemeris of lunar and circadian rhythms. Each radiant ray represents a day in the year, starting with January 1st at the very top. Gardeners, astrologers, educators, homeschoolers and those who use the sun & moon to plan their daily activities will now be able to chart their course for the year ahead with ease and grace. 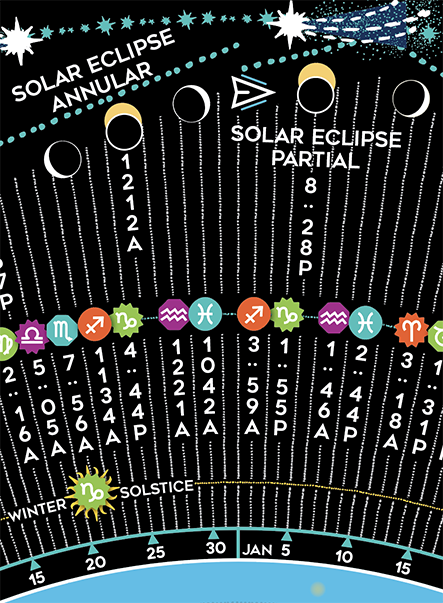 This year-at-a-glance chart features moon phases and moon signs complete with exact time. Lunar lovers will delight in this one of a kind chart which visualizes the proximity, placement, and luminosity of Earth's closest companion. And to give you one more reason to go outside and look at the sky, I've also included major meteor showers! Scroll down for a virtual tour! Extra Large: 24" x 36" (61cm x 92cm) / printed on demand, please allow an extra two weeks production / shipped from the USA or Europe. Compatible with all time zones! This is design is for Northern Hemisphere. Our friends in the Southern Hemisphere the moon waxing/waning appear in reverse of symbols on this calendar & seasons are flipped. 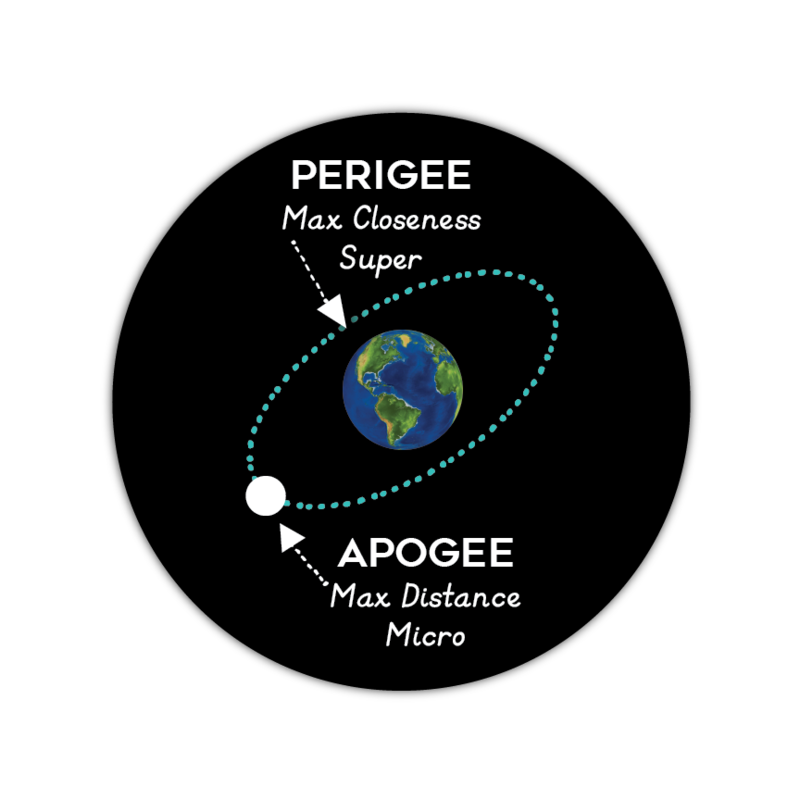 Astronomy data based on the US Naval Observatory & American Meteor Society. Lunar Zodiac transits based on the Tropical Midnight Swiss Ephemeris which is suitable for Western Astrologers. Corrected for Daylight Savings when applicable. While we have a rigorous proofing process, every piece of data on here is hand placed and therefore subject to human error. Please double check critical planning with a cross reference of your own. Align yourself with the moon glow and you'll flow. 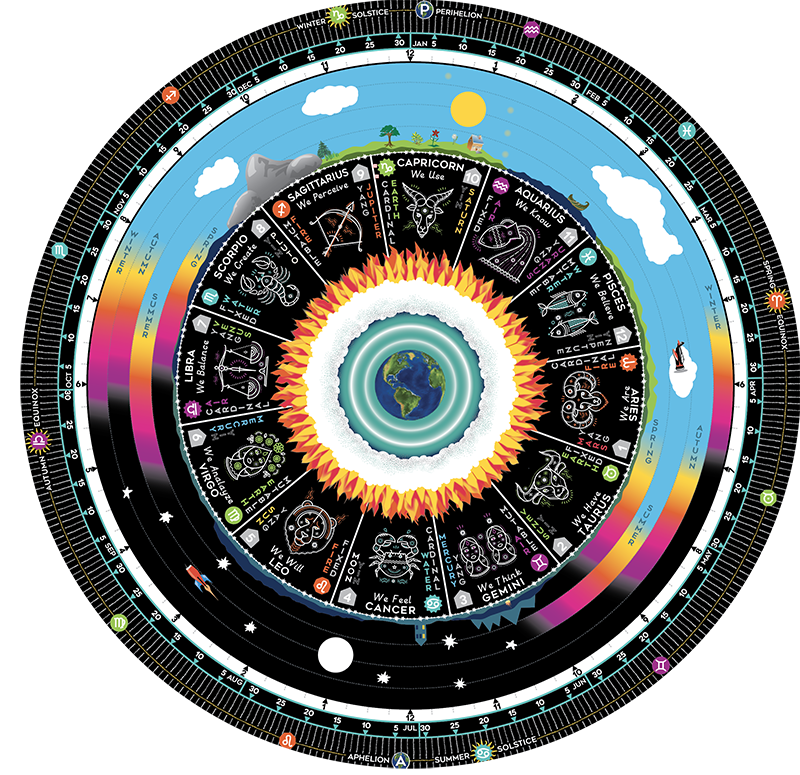 Spiral Spectrum’s LunaSol Calendar is a circle calendar featuring year-at-a-glance moon phases, meteor showers, eclipses and solar transits & seasons. A schedule of moon transits with exact time as la Luna travels through the Zodiac is a main feature of this design with legends to make interpretation easy. companion to the bestselling Cosmic Calendar. Powerful reminders of the nature of the four elements found in the Zodiac. Solar transits are marked around the edge of the fire & seasons are too. Just outside of the Zodiac legend you will see an hourly dial with tick marks every quarter hour. Our daily rhythm is ruled by day & night! Plotted using Civil, Nautical & Astronomical reference data at each seasons solar beginning. Each wedge contains associated quality, element, polarity and which house and planet has rulership over the sign. 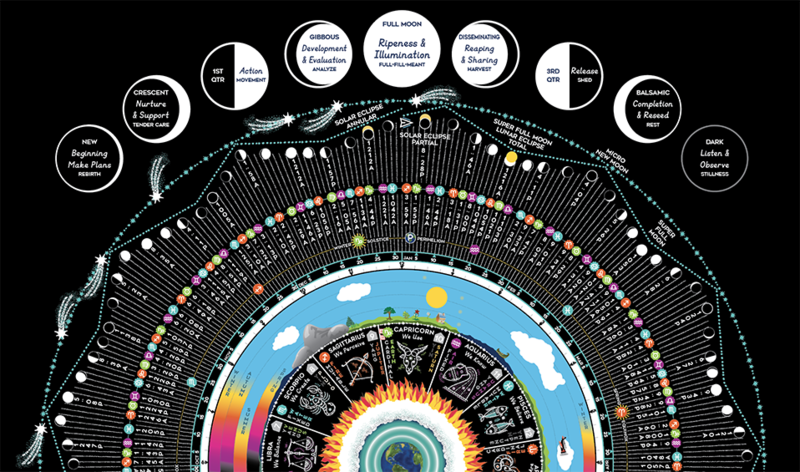 This year-at-a-glance chart features moon phases and moon signs complete with exact time. Times are in Eastern Time Zone, but since they are explicitly written on the chart, it’s easy to convert to your time zone for complete accuracy in your region. For example, our friends in Portland would subtract 3 hours to adjust to the Pacific Time Zone. Zodiac symbols are color coded by element & quality. New for 2019 is astrologer written guide to the moon through the Zodiac to make interpretation easier. (The image below has placeholder text as we are still perfecting the copy). 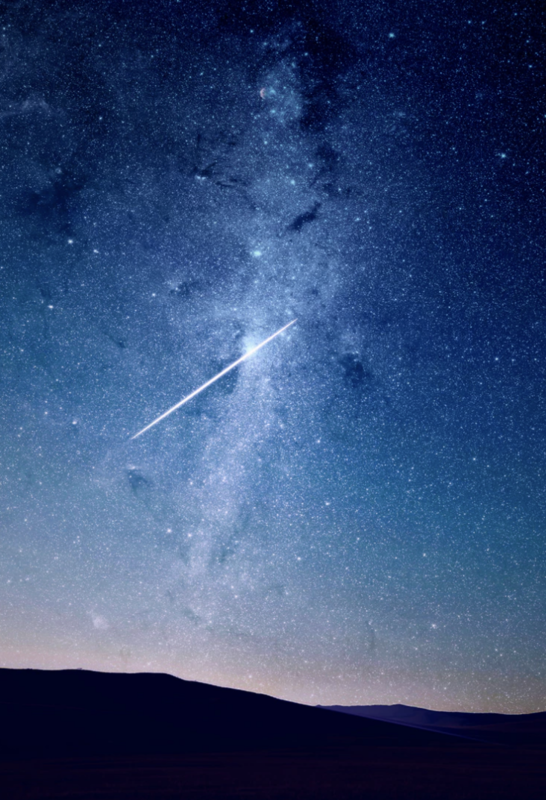 Major Meteor showers are marked on their peak dates. Optimal visibility when lunar light is low. Poor visibility when luna is bright and intense. 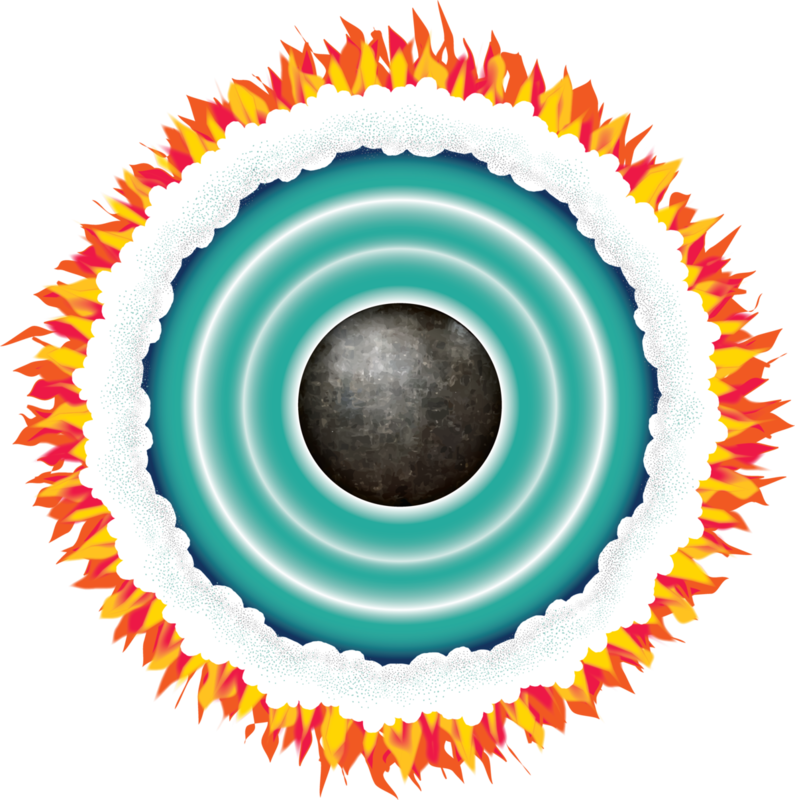 When we combine these layers together, we arrive at the LunaSol Dial. 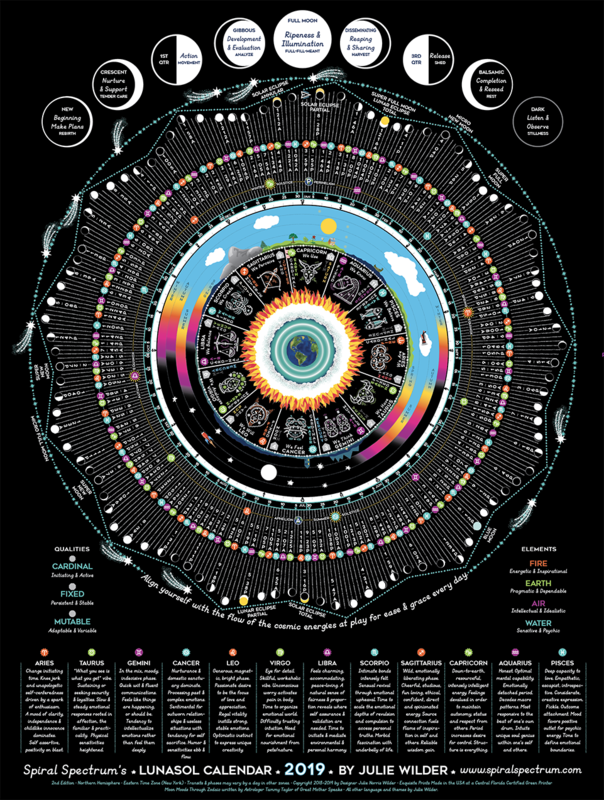 Instead of minutes and hours, we see moon phases, meteor showers, moon transits and more for the entire year on one gorgeous poster. Stunning!! Way better in person! Can’t wait to learn how to use this calendar! Also Available in Our Bundles!